Being a Raptors fan, I am still getting used to DeMar DeRozan not being in the uniform. Yes, I know months have passed – but bear with me. Like many Raptors fans, I was waiting eagerly for the first showdown between Kawhi and DeMar since the trade. I was counting the days on the calendar until January 3, 2019. All that hype, all that excitement, jubilation, and anticipation bundled up inside me like a newborn baby in a blanket. Then, the night finally came and I was disappointed. Oh so disappointed. First of all the Raptors lost. Secondly, DeMar wiped the floor with them. He saved his best performance of the year for the Raptors just to add salt into an already open wound that was struggling to heal itself. DeMar had his first career triple-double in a game where I am sure most Raptors fans wanted the team to prove that they were better off without him and that we had all moved on. But had we? As I watched the game I found myself experiencing a range of emotions from joy to jealousy. I was super excited to see the two teams play but when DeMar engaged his beast mode I knew we were in trouble. Now granted our team was shorthanded as we were missing Lowry on the floor and his presence would have assured a more well-rounded offensive performance, but we cannot take away from what DeMar laid on the court that night. I think he had something to prove. 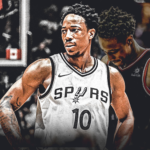 I think DeMar wanted to let the Raptors (and the fans) know they made a mistake; that he was still the player they needed and now they needed to regret trading him. We cannot forget that DeMar left T.O. 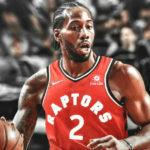 with a chip on his shoulder and he was quoted as saying “I felt like I wasn’t treated with what I sacrificed for nine years, with the respect that I thought I deserved.” When the Raptors showed up to his new home, he wanted to leave everything on the court and walk away with nothing more to say. Let me say, we heard you DeMar -with no words said, we heard you loud and clear. And what of Kawhi’s departure from San Antonio? We cannot forget that he left that team with a less than admirable relationship with coach Popovich and the fans left behind. We heard them too, with lots of words, loud and clear. However, the echoing of boos failed to inspire Kawhi with a triple-double, but granted he did have 21 points in a losing effort, only 6 points off his season average. And don’t tell me that you wanted to be a fly on the wall when Kawhi and Pop embraced on the sideline and you are not DYING to know what was said between them. I am hoping all the hatchets are now buried deep and long forgotten. Amidst it all poor Danny Green was all but forgotten in his return to San Antonio, we forget that he was a part of the monster trade that was. Alas, he was pointless in his return, so I digress. I am not sure if anyone even inquired as to how he felt. If you see this Danny, I care! Now I am not saying that I am not enjoying the Raptors season and the addition of Kawhi has indeed elevated the level of play for all the players around him. I think the Raptors still have a lot to prove as well and a lot to say. 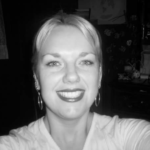 I am still getting used to it all. When fans are dedicated they are dedicated, what else can I say? As I move forward with the rest of this season, watching each game on the way to the playoffs, I am counting the days now until February 2, 2019. This next showdown I hope will end in our favor and if there is anything left to say, let’s hope it is all left on the court.